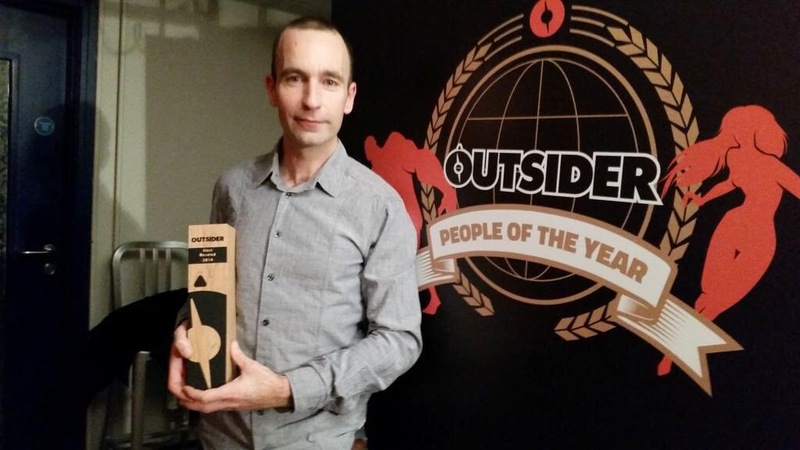 I’m delighted to be named the ‘Most Devoted to the Outdoors’ at the third annual Outsider magazine awards held recently in Dublin. The long list of nominees read like a who’s who on the Irish Outdoor scene and to be even listed amongst such names was an honour. 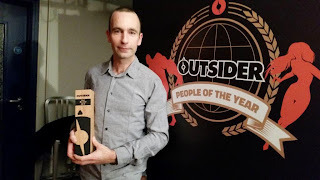 Ultra Running seemed to do quite well on the night with the overall title of ‘Outsider of the Year 2014’ going to Tony Mangan for his mind boggling and epic World Run. The ‘Lifetime Achievement’ award went to Maurice Mullins the man responsible for bringing the first Triathlon and Ultra Marathon to Ireland and Maurice’s daughter Deirdre Mullins won the award for ‘Best Film’ based on the life of Maurice. Maurice Mullins, Tony Mangan, John O'Regan. Thanks to Outsider Magazine for holding the awards night and creating an opportunity to learn from others while making new friends and thanks to my main sponsor Great Outdoors for believing in me from the beginning. We don’t do what we do to win awards but when it happens it’s appreciated and even more so when it celebrates your lifestyle and in the words of Tom Peters, ‘celebrate what you want to see more of’.